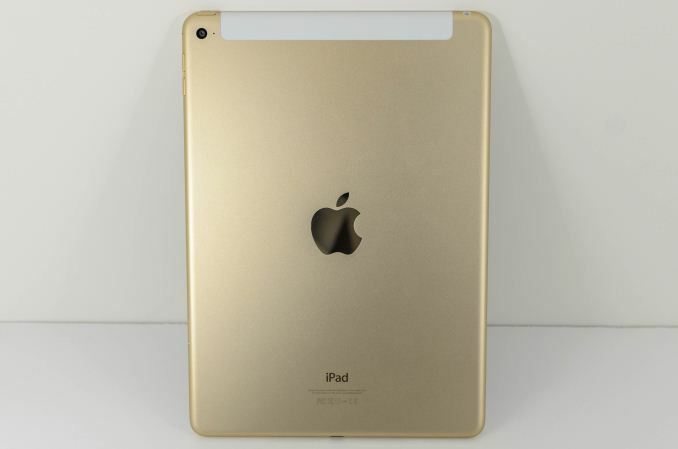 As we approach the holidays, Apple has launched a new iPad as expected. As one might expect from the name, the iPad Air 2 is more of an evolution of the original iPad Air than a clean-sheet design. This doesn’t mean that there’s little to talk about though, as Apple has gone a long way to improve every aspect of the iPad Air with this iteration. However, with this generation Apple seems to be under fire as Google attempts to push into the premium tablet space with the Nexus 9. Without question though, the iPad line defines what an ARM-based tablet is. 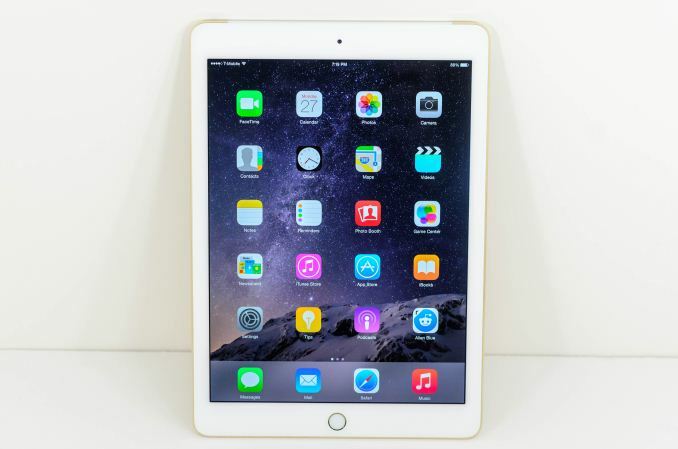 The iPad Air 2 is undoubtedly a part of this lineage with its focus on a large touch-screen display. This level of design minimalism is responsible for at least part of the original reaction to the tablet as a “large phone”. However, by virtue of its sheer size there are new possibilities opened up in terms of content consumption and even content creation. 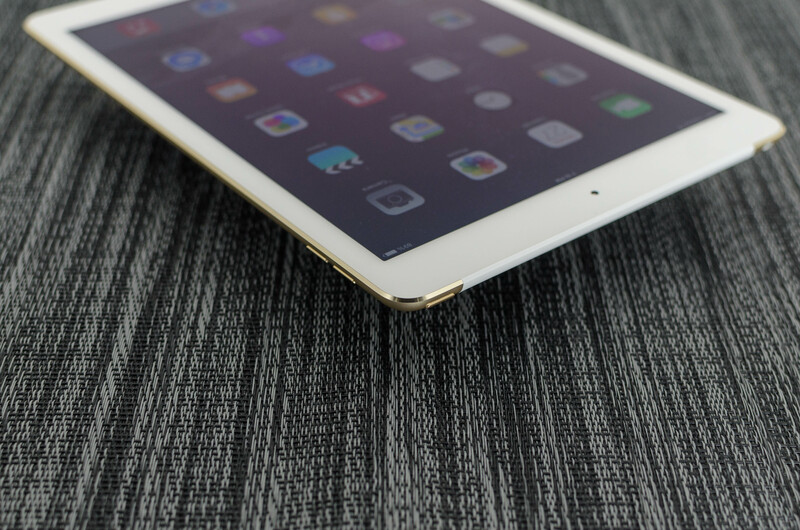 In the basic definition of a tablet, the iPad Air 2 definitely fits. There’s a new SoC, more RAM, a better display lens, new cameras, and an even thinner design, but all of these things don’t change the fact that this is a 9.7” display that can only be interacted with through a touchscreen. In the interest of saving space and time, I’ve included a spec sheet below to cover all bases. As with any other mobile device, one of the most immediate impressions one can form is that of design. This may be one of the most important areas as well, because every mobile device is constantly held or otherwise handled. These devices tend to be deeply personal as well, which means that there’s a great deal more emphasis on industrial design than a desktop tower that gets shoved into a dark corner for five years at a time. 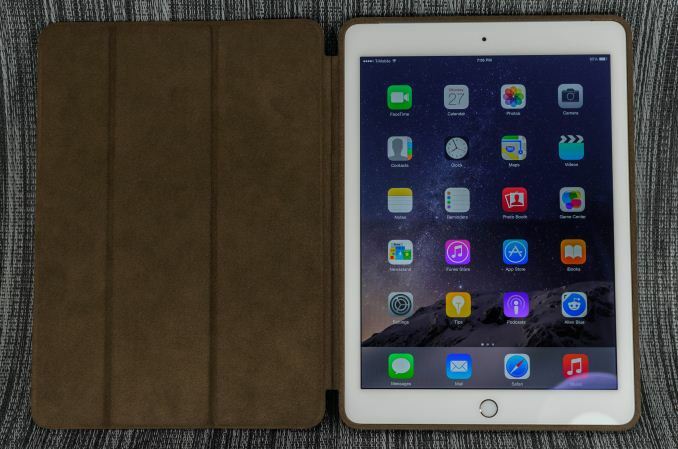 To this end, the iPad Air 2 does quite well. The design is definitely separate from the iPhone 6 line, as the metal chamfer remains, but the form continues to be quite pleasing. On the front face of the tablet, we see a single 1.2MP camera, the display, and the home button which has TouchID built in. The glass is flat, which makes it seem noticeably different from the iPhone 6 line in that regard as it meets the chamfered edge of the back cover rather than making a seamless curve. The radius of the curve is also noticeably different as a result, simply curving in towards the center of the device rather than curving out of the device. If anything, this does make the iPad Air 2 feel a bit thicker in the fingers but the device overall is still incredibly thin. Speaking of the back cover, there’s really almost nothing to speak of on the back cover. There’s the 8MP camera and a microphone hole, but not much else other than the large plastic RF window on the top edge of the tablet. The curve of the sides does make it seem like there’s a great deal more on the back cover though. Other than the RF window, there’s a power button and 3.5mm jack on the top of the tablet. Next to the power button are the volume buttons, but curiously no mute/lock rotation switch for this generation. I suspect that the reasons for this deletion are primarily due to user confusion, although my experiences are purely anecdotal in this regard. Finally, along the bottom of the device we see the Lightning port and two speaker grilles. 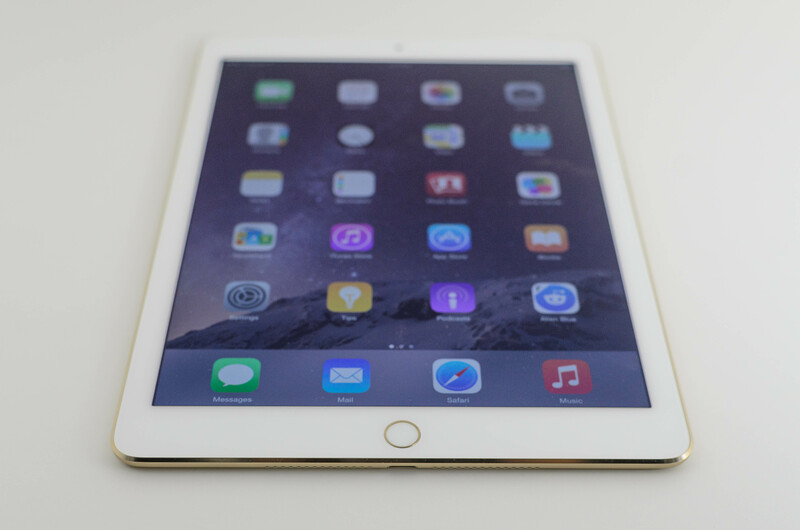 Overall, the design of the iPad Air 2 is impressive. The thin feel is really quite impressive when compared against other devices, but the weight no longer feels quite as incredible as the original iPad Air when compared to the iPad 4. 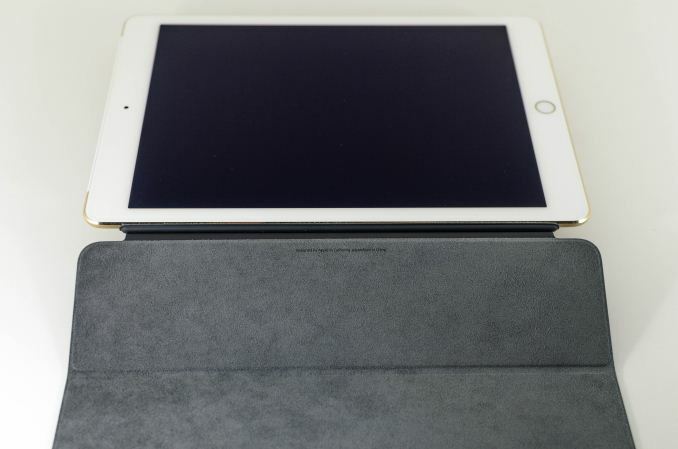 Outside of the physical design, Apple has also included a selection of two cases which include the smart cover and case, which are mostly unchanged from the previous generation except to fit the iPad Air 2. I don’t have much to complain about here although the smart case has a bit more flex on the sides than I’d like. The smart cover does have enough strength in the magnets to hold the tablet by the cover, although I wouldn't recommend doing this. iOS may not be perfect.. Indeed, exactly the reason I just bought a Nexus 9. That and not needing to install iTunes. Most Android users have no idea. "On WIndows Phone, I just press two buttons and it un-bricks itself." Then your phone wasn't bricked. And with iOS, you can fix on a Mac, Windows PC OR Linux!